Low prices for good quality! 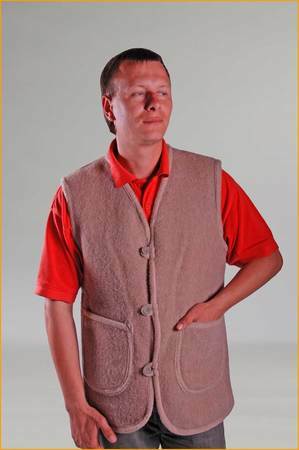 Vest of 100% Kazakhstan Camel wool. 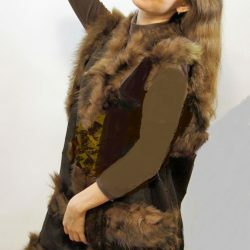 Sleeveless jackets is made of high quality woolen. The applied fabric is not subjected to chemical treatment and is environmentally friendly. 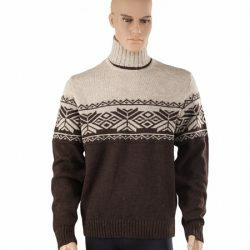 The quality of the products is marked by the mark WOOLMARK – natural wool. 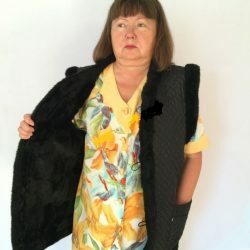 Due to its universal form vest is well suited to both men and women.”Kalyna” store – Imports and sells health products from Russia. 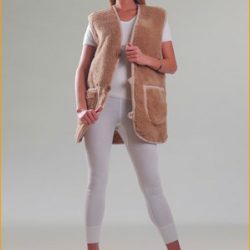 Quality of thermal underwear, garments, camel wool Socks, Leggings and Vests. Socks from Dog wool, Sheep wool Socks and Leggings .